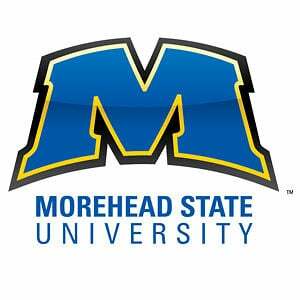 Morehead State Career Fair is a 1 day event being held on March 5, 2019 at the Laughlin Health Building Gym in Morehead, United States Of America. This event will help you make informed decisions about your future, become a stronger job seeker, and connect with employers. investment, rather than an expense. THESE WORKSHOPS ARE IN PARTNERSHIP WITH THE KYPTAC, KCMA, AKA AND KCTCS. Reach over 100 airport directors, board members, managers, employees, consultants, and contractors. You already know cybersecurity is essential. You've been meaning to make a plan. But all the threats and all the security options can seem overwhelming. At Lexington's 2nd annual Cyber Security and Technology Conference, we'll share best practices on how to build a strong, sustainable plan, customized for your business's unique needs. You'll leave feeling ready and able to protect your systems and staff, freeing you up to do the work you love without the worry. Join the Kentucky World Trade Center and the Kentucky Aerospace Industry Consortium to Kentucky's #1 trading partner! 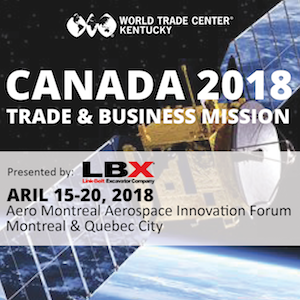 This opportunity will allow participation in the well known AeroMontreal Aerospace Forum and facilitate b2b meetings with decision makers from high profile Canadian aerospace companies. We look forward to have you with us! Contact Stewart Ditto (stewart@kyaerospace.org) or Sherry Mulkins (sherry.mulkins@wtcky.org) for more information. Brought to you by the Kentucky and Southern Indiana district export counsel and The United States Commercial Services. This event will give the attendees an opportunity to hear directly from some of the Department of Commerce, USTR, and SBA personnel that deal with these issues in the current environment as it may relate to future success in international trade. This class is geared to EMS, Fire Fighters, State Police and First Responders. Pre- Registration is $25.00 through March 15th. $50.00 on-site registration after March 15th date. Register soon, space is limited! Contact Stewart Ditto (stewart@kyaerospace.org) or Shanna Roberts (kyaviationassociation@aviationkaa.org) for more information.